When the ground-breaking took place at the old JC Penney site a week ago, here’s hoping it represented a turning point in Mason City. About 150 people attended. That’s the most excitement Southbridge Mall has generated since Victoria’s Secret opened so many years ago. Something positive is finally occurring with mall property. It gives the community a glimmer of hope that we can focus on the future instead of fretting about the past although that might take a while. Let’s consider what’s happened in the past as the exhibition season. The ballgame has started now, but it’s just the first inning. The mall ownership status has been shaky ever since Mike Kohan and his associates purchased it a couple of years ago and didn’t pay any taxes on it until he was called on the carpet. Hopefully, that situation has straightened out. The whole River City Renaissance Project has been a house of cards from the time it was developed – except in the eyes of the Iowa Economic Development Authority which has shown extraordinary patience as it awaits committing almost $10 million to the project. The plan has had its doubters from the beginning, that’s for sure, but the people holding the purse strings in Des Moines have stayed the course. With regard to the proposed ice arena/multipurpose center, as Councilman Tom Thoma has pointed out, city officials have no control over who owns the mall. The owner has to take care of his business; the city has to take care of its business. And now, the city’s business is to move forward and make the best of what has been a really bad situation. Mayor Bill Schickel, who spoke at the groundbreaking, said the public should look forward to seeing the site 10 months from now and compare it to how it looks now. The hope, of course, is that there will be hockey games being played and that hundreds of fans will be coming to downtown Mason City because of the new attraction. Another consideration: Many cities around the country have worked to “repurpose” their downtown malls and have found inventive ways of doing it. The ice arena/multipurpose center can serve the same purpose, or should I say “repurpose” in Mason City. It could attract restaurants, sports specialty stores, and who knows what else who might want to locate in the mall. What is the mall attracting now? Nothing. That’s another way in which the groundbreaking could be a turning point. Schickel said building the arena will help Mason City in three areas – jobs, taxes and the example we’ll be setting for other cities. All three of those are possible, but the third one is the pivotal one. Let’s make sure the example we set is not one of another disappointment in downtown redevelopment in Mason City. If we accomplish that, it will indeed be a turning point. 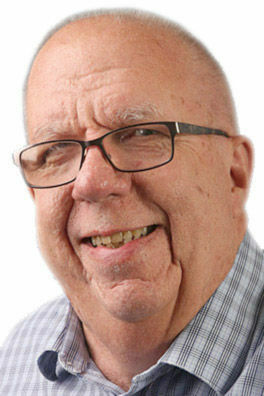 John Skipper retired from the Globe Gazette in February 2018 after 52 years in newspapers, most of that in Mason City covering North Iowa government and politics.